The Green-throated Carib hummingbird depends on a steady source of flower nectar to feed herself and her chicks. “Restore Habitats, Restore Birds” is the theme for this year’s Caribbean Endemic Bird Festival (CEBF). 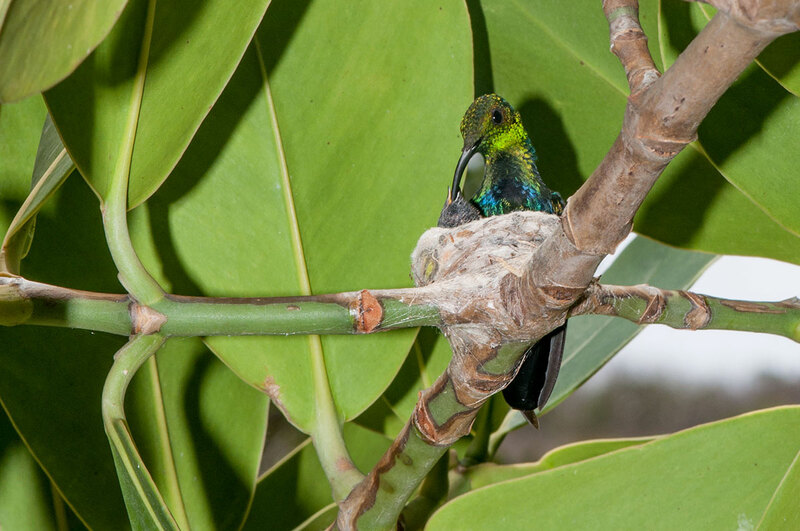 At dozens of events throughout the region, participants of all ages will learn how restoring local habitats can benefit the unique birds found only in the Caribbean. Events on many islands will include habitat restoration activities like clean ups and distribution of native tree seedlings for planting. The festival, now in its 14th year, is led by BirdsCaribbean, the largest organization devoted to wildlife conservation in the Caribbean. The month-long festival includes Caribbean-wide activities beginning today – Earth Day (April 22), through to International Biodiversity Day (May 22), in more than twenty countries. The event celebrates the 150 bird species that are found only in the Caribbean, known as endemics. The highly successful program attracts over 80,000 participants and volunteers each year. CEBF on St. Martin kicks off with the Endemic Animal Festival on Saturday, April 25th from 9am to noon. This festival was created by the association Les Fruits de Mer to celebrate all of St. Martin’s endemic animals, from birds and lizards to insects and spiders. The free event will take place at the Discovery Farm and Garden at Seaside Nature Park in Cay Bay. At the event, Les Fruits de Mer will launch Club Gaïac, a habitat and heritage restoration project centered around one of the most iconic native trees in the Caribbean. The Caribbean Elaenia can live in both forest and scrub areas, but only lives in the Caribbean. Habitat restoration is a boon to birds, but benefits abound for people, too. Mangrove wetlands, for example, prevent erosion, serve as nurseries for fish, and reduce the impact of major storms on our coastlines. Restored habitats and their restored bird populations may also open the door to a growing industry: birdwatching tourism. 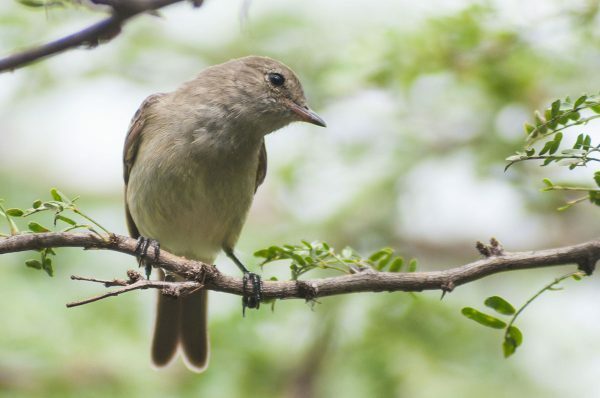 The goal of the month-long Festival is to increase public awareness of the region’s exceptionally rich and threatened bird life, using the Caribbean’s celebrated endemic birds as flagships of conservation. Festival activities include a diverse array of public events. In addition to the annual Endemic Animal Festival on April 25th, this year a “Mystery Birding Tour” is being organized for May 16th by birding guide Binkie Van Es with help from Nature Foundation St. Maarten, Environmental Protection in the Caribbean and Les Fruits de Mer. The free tour will include presentations about local birds and guided bird watching at multiple sites on the island. Sign-ups for the tour will be available at University of St. Martin and on Facebook. To find out more about the Endemic Animal Festival, visit http://www.lesfruitsdemer.com/events/endemic-animal-festival/. 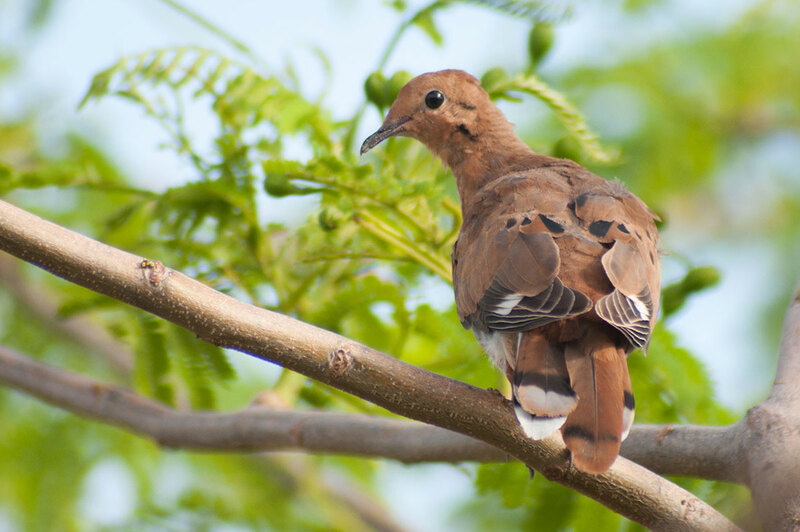 The Zenaida Dove depends on the seeds of many local plants for its diet.